Recorded Live at Klooks Kleek, London, England - November 15, 1966. Excellent Audience Recording :: Vinyl rip :: Lossless FLAC. Files: 7.:: Size: 163.25 MB (flac). Personnel: Ginger Baker, Jack Bruce, Eric Clapton. 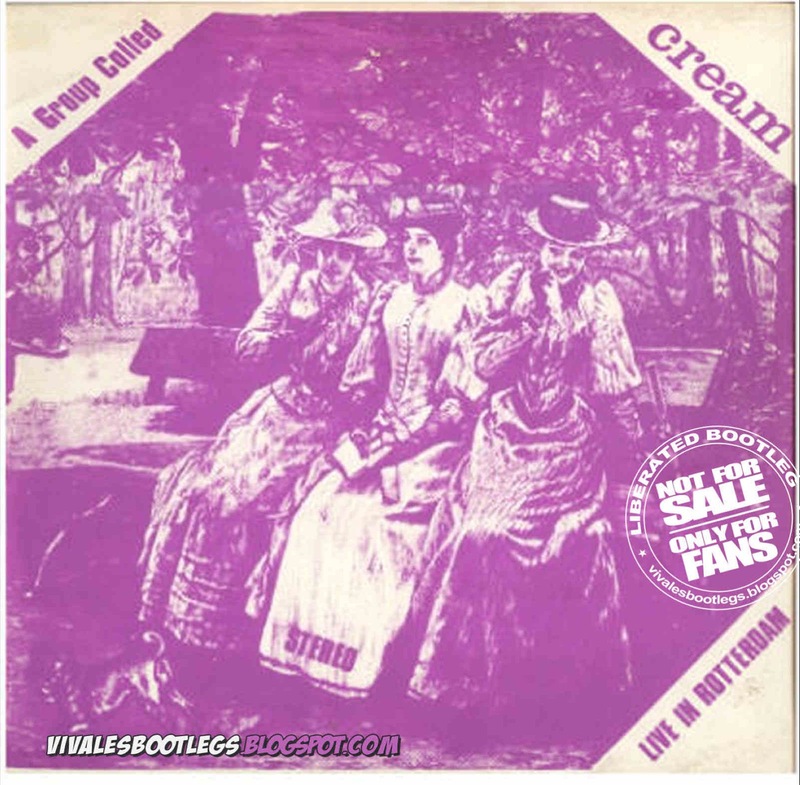 Notes: CREAM, London, Klooks Kleek Club, November 15, 1966 off Super rare Dutch Vinyl Boot "A Group called CREAM" on Viktorie Label! Transfered from the very first issue of a Dutch vinyl Boot, only seen once, I had a repressing on TMQ label before, which didn´t sound as good as the Original pressing, but also only found two times! This show is, as far as I know, the earliest CREAM concert recording! It includes more spontaneous playing of short versions of the common CREAM songs than the later shows, plus a rare rendition of "Lawdy Mama", my favorite number here! The recording sounds great for it´s time, and the show is probably one of the hottest CREAM shows ever! The Viktorie Boot recording is in a real nice "Electronic Stereo" mix also different from the repressing, which used only one channel from the original issue Although this show is credited to be recorded in Rotterdam, NL, it is well known in the CREAM scene that it is originally recorded in London at the Klooks Kleek Club Nov 1966! The vinyl is in good shape , a near mint cpoy, but the vinyl has a few very small "holes" in it´s surface, but the overall sound is really great! Enjoy this great piece of CREAM history!. - Pioneer PDR05 CD Recorder-Eac-CoolEdit Pro-Flac .<- Info taken from original nfo file>.